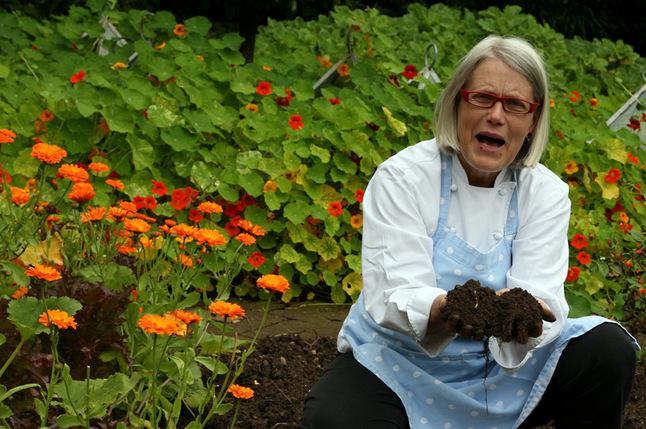 Darina Allen established Ballymaloe Cookery School in 1983 with her brother Rory O'Connell. Author of over 10 books and presenter on 6 Television series, her main passion and her daily task is to impart her knowledge to the students at the Ballymaloe Cookery School. IACP Cooking Teacher of theYear 2005. A tireless ambassador for Irish food both at home and abroad, Darina has been instrumental in setting up the Farmers’ Market Movement in Ireland. Slow Food is a passion for her, and she is the councillor for Ireland in the Slow Food Movement and President of East Cork Convivium of Slow Food. Through the East Cork Educational Fund, she runs a programme for local primary schools to help local children learn about food from garden to plate. In 2013 she helped launch the Ballymaloe Literary Festival of Food and Wine which plays host to a stellar line up of chefs and writers and has very quickly become an unmissable event on the international culinary calendar. Dubbed "The Julia Child of Ireland" by the San Francisco Chronicle, Darina has written a number of best-selling, award-winning books including: 30 Years at Ballymaloe (Winner Cookbook of the year for the Irish Book Awards 2013) | Forgotten Skills, winner of the André Simon Food Book of the Year and Listowel Food Fair Book of the Year Award in 2010 | Easy Entertaining, winner of the 2006 Chefs and Restaurants Award from the IACP | Irish Traditional Cooking | Ballymaloe Cookery Course | A Year at Ballymaloe | Healthy Gluten-freeEating* (with Rosemary Kearney) | the Simply Delicious series of books to accompany her TV series of the same name. IACP (International Association ofCulinary Professionals).